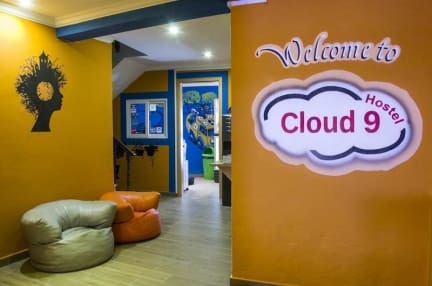 Cloud 9 Hostel i Lagos, Portugal: Reservér nu! All the premises are tidy clean everyday. At the top floor we have a wide terrace where our guests can enjoy the great surrounding view of the sea/city, in the morning you can enjoy the best sunrise in the city! At the 2nd floor of our hostel we provide a wide common area with cable TV, games, books, movies, free wi fi Internet access, full kitchen. Around the common area we have a terrace with a great sea/city view. We have 24 hour reception and a great staff that will help you with everything you need! Probably one of the best hostels in Lagos - good location, good facilities, good people and good times!